Last edited by honda_Sol; 10-08-2009 at 03:28 PM. lmfao "don't wanna spend hundreds of dollars on coilovers"?? how many fuking times do we hafta say, you gotta pay to play, especially for quality parts. How many times am i going to go off on a suspension rant. Sorry just dont want to spend 7-8 hundred on lowering my car. Sorry, I'm just getting tired of "I'm going to lower my car, what should I do?" threads popping up on a daily basis when there is tons of info on the site about the topic already. put some bricks in your car, should go down a couple of inches. Dun mean to jack the thread. BUt im poor and broke and I jus bought better condition stock springs and struts. I dont have $$ for those performance ones and I was wondering what springs would be good on stock struts or should I wait really really long n save up for performance susp setup which god know when that'll happen?!?! No **** I'm just being thread specific right now. This is probably the best response i have seen before to a thread. regardless. 3.get the big bowl, mix the soy sauce, the spring and the rice together. 4. heat up the spring and cut off the amount your want dropped. 5 put the spring back on and then your wheel. 7. get in you car.put some techno on and do the rice bounce!FTW! Cop some Eibach Sportlines, call it a day. Sig'd. AHAHAHAH and its soooooo true. this is the worst ive seen you guys get about a thread. Is lowering a car really neccesary? Why should you change your driving style to accommodate bumps and potholes for merely looks? The thing i dont understand are the people who are fed up of seeing the same threads. If you are fed up, dont open them and read them lol. People ask questions to get positive feed back from a site where were suppose to help one another. If your not looking to spend a pretty penny, Just buy some good springs, Eibach, Tein. They will cost around 300 i would say and can go rigth onto your stock struts. Now i would recomment just buying some after market struts as well.. the whole set up will cost you around 6-7 hundred. It will be worth it. when it comes to suspension, dont go cheap. Plus you can brag more saying you have a sweet set up lol. are u bein' for real? i mean suspension is more than just looks man. heck on my last Prelude i just put springs on it. junked the OEM ones. and my ride ride quality was much better, so it does help with hadling. stiffness and cornering can be improved upon, but you have to be willing to spend a little green, you know what i mean? DOUBLE:dito you have to pay to play that's the law remember you get what you pay for don't go ghetto . 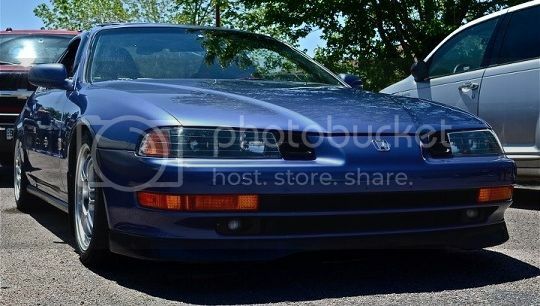 Yeah, don't be cheap... buy good stuff for your lude, because if you don't, you feel horrible inside. Yea, but if they would do a little thing called search they would find that feedback (one word) in 100+ other posts. You gotta realize that if some of us don't come in here and check out these threads to make sure that someone isn't some ****ty feeback from another person that has no idea what they are talking about. the thing i don't understand is how people like the OP can HONESTLY think such vague, general questions (such as this one, and the ones that i gave, for examples ) have NEVER been asked before, even tho our cars are now 8-17 years old, and people have been modifying them for equally as long. so instead of SEARCHING (which 99% of the time, the question you're creating a thread about has been asked before countless times, ANDDDD it takes less time to search than to create a new thread) they proceed to make a new thread thinking NO ONE ELSE IN THE WORLD has asked this same exact question before. on top of that, its useless threads like these that not only waste our sites bandwidth (which isn't unlimited people), clutter it up even more, but it also hides the original, USEFUL threads where pertinent information has been given, which are never, ever to be seen again. i just wanna sit back and watch you guys answer the same general questions over and over and over and over again, and see how you guys start to think about them.